Between 21st and 27th of October, Risha Team has organised a workshop in Elektrika gallery in Pančevo, Serbia, that was aiming to explore various techniques of graphic journalism. 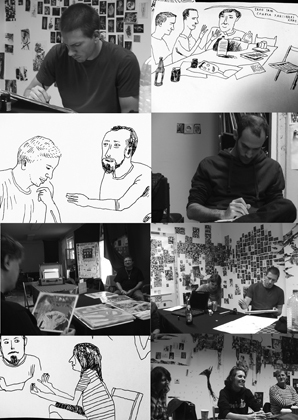 Small team consisted of Aleksandar Zograf, Ester Vanhoutte, Hanja Micovic, Jenny Taravosh, Jeff Ross, Vuk Palibrk, Boris Stanic and Vladimir Palibrk explored the history of graphic journalism, basic techniques of investigative journalism, including gonzo reporting and scriptwriting theories, in order to integrate them in a graphic journalism manual for those who are interested to have practice in this discipline. 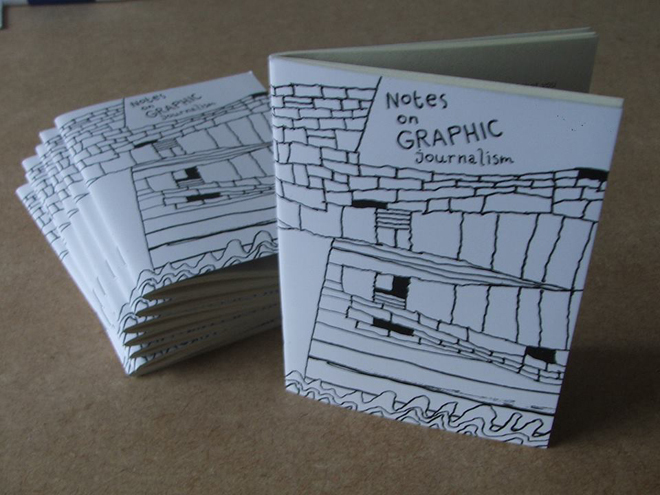 A week later, this manual was already published in form of a mini-zine, as well as distributed online in PDF format /click HERE to check it out!/. In order to ensure better visibility of this project in public, we organised a promo event on the abandoned industrial steamboat ZUPA in Belgrade, together with the Urban Incubator crew of Goethe Institute Belgrade. 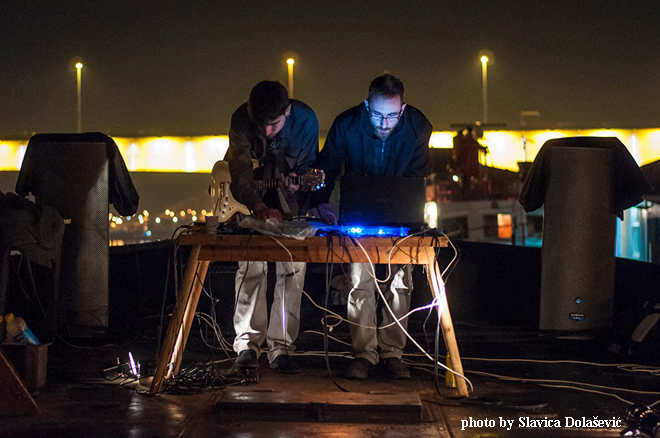 On that occasion, we presented also the concert of ambiental/electronic improvised music played by Sava Marinković and Harry Pannon. This workshop and the follow-up materials were co-financed by the Municipality of Pančevo, thanks!